Situational Analysis: This Use Case is for MVNOs wishing to move from a Branded Reseller/Skinny MVNO to a Thick MVNO in order to further differentiate its service (over and above price and affinity affiliation) from their host/wholesale MNO. In order to accomplish this, control of core network elements (i.e., HLR, IMS, Content Delivery) is required. However, MVNOs typically lack in-house network node engineering expertise and lack the ability to financially justify a large investment. Branded Resellers/Skinny MVNOs that rely solely on the existing functionality of their host MNOs which can severely limit the ability for service differentiation. Lack of highly complex core network systems which are required to really differentiate service. Lack of in house network engineering and typically do not want to own network infrastructure. The flexibly managed 3G/4G/5G packet core (with HLR/HSS), IMS (with VoLTE/VoWiFi), and content delivery (with music and movies) can be customized to meet the service differentiation requirements of any MVNO. 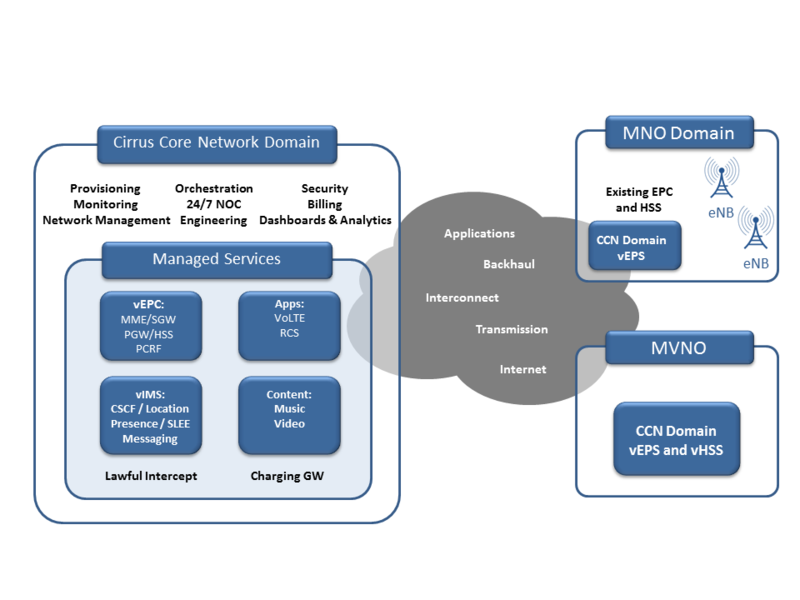 CCN’s MVNO/MVNE solution provides a low cost feature rich service for new or existing Thick MVNOs. The beauty of CCN’s solution is there is no need for the MVNO or MVNE to have LTE or IMS engineering expertise. CCN’s solution provides “service differentiation as a service” with fully managed HSS, IMS applications and content delivery.